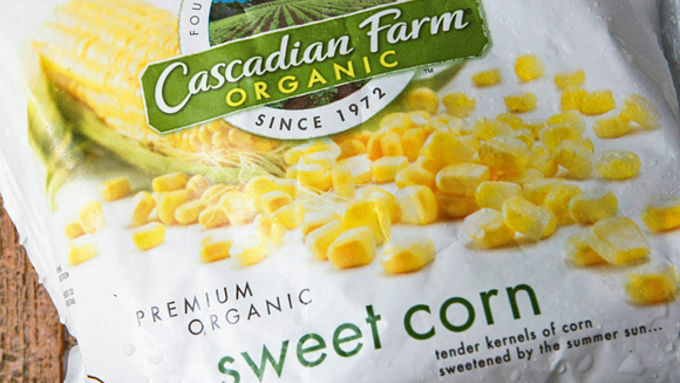 Toss frozen sweet corn into a large, foil pan. Drizzle with vegetable oil and stir to coat. Place on hot grill and cook until corn is sizzling hot and a few pieces are slightly browned, about 10-15 minutes. Pour Mexican table cream over the corn; stir to coat. Fold chipotle peppers into the mixture. Sprinkle with queso fresco and parsley or cilantro. Serve and enjoy! If you can't find these Mexican ingredients at your store, substitute Half and Half for the table cream, and mild feta cheese for the queso fresco. With a little "ole!" from Mexican ingredients like chipotle peppers, fresh cheese and cream, this grilled corn will rock your Labor Day grilling fiesta! Without exaggerating, this is the single raddest, fabbest, baddest, most fabtastic side dish eva. No, you won't believe me. Because, surely, you've had other side dishes that could compare, right? You've had veggies sauteed in butter, loaded sweet potatoes, green beans with bacon and bacon and more bacon. Nixed. All of them. 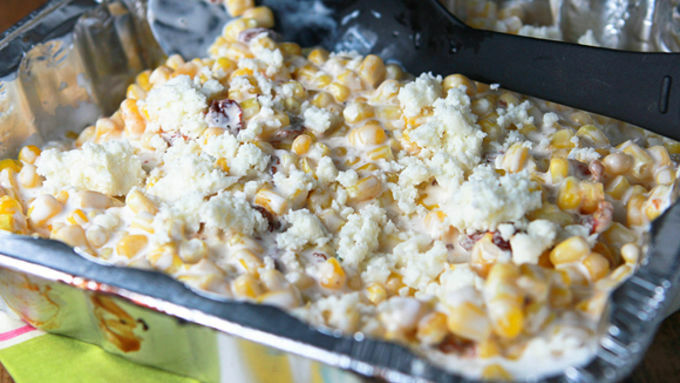 Not a one can hold a candle to this spicy, homemade Chipotle Creamed Corn on the Grill. Absolutely the best side dish recipe ever created by human hands. You have been warned. 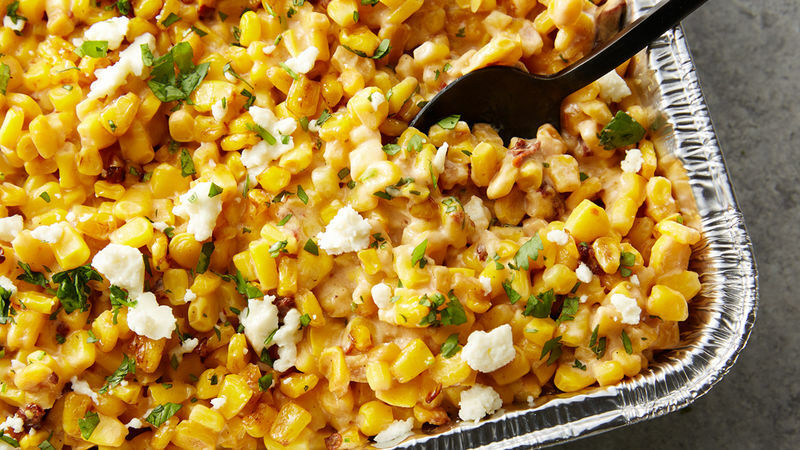 Top this corn dish with a sprinkling of Queso Fresco cheese, fresh parsley or cilantro, and you're done! Try serving this gorgeous side dish with your favorite grilled meat, fresh veggies, and a giant green salad for the ultimate end-of-summer party picnic!